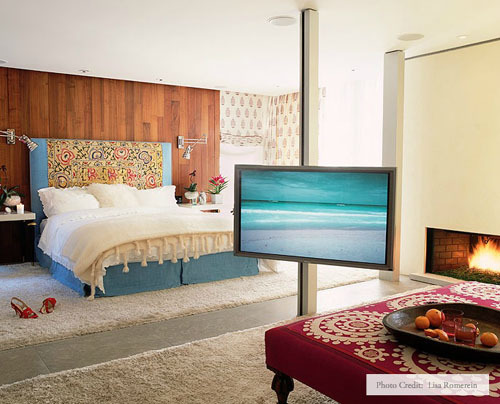 Love how they mounted the tv! Love the painting on the first photo. 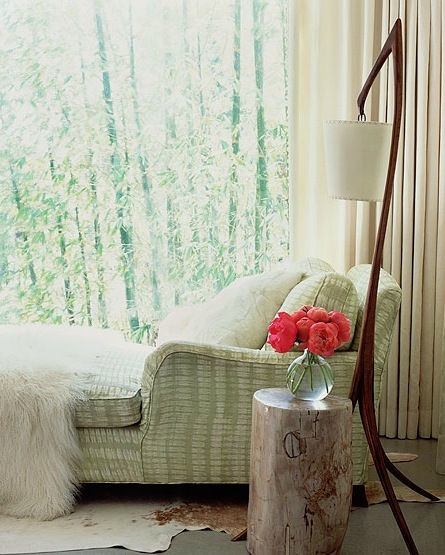 Love it – especially the log side table – I so want one! 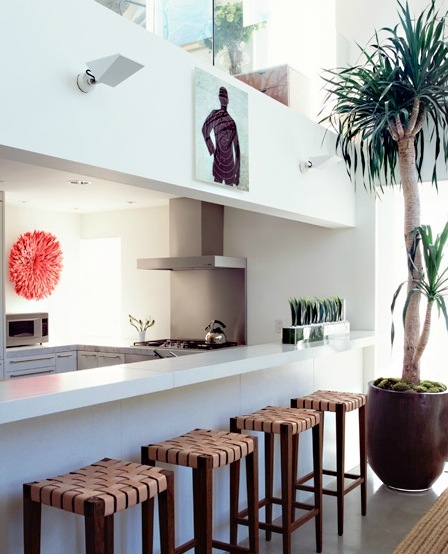 That kitchen is fabulous!!! Love all that light and neatness. I must get a potted orchid for the living room! what an amazing blog. i think i want to live in it. 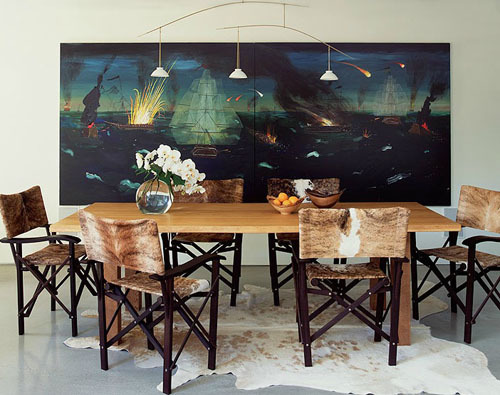 i just checked out your folio and i ma still drooling over the amazing interiors you create. wow chantal! i want to be in that last image so badly! big hugs to you, and thanks for the comment on my blog today it means so much coming from you! I love the fresh look of this place. Great colour combos. Liked it so much I posted it on my pinterest board to Oooo and Ahhh at again and again! btw thanks for visiting my blog and leaving a comment. Your blog is fantastic. I’m in love with that coffee table and the colour palette in the first image. I am loving everything here. But especially that headboard, the breakfast bar and the amount of natural light throughout the space. what an interesting way to mount a tv, i like that!